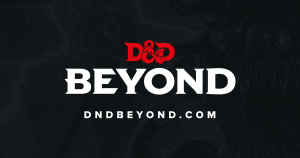 D&D Beyond! Thanks Mike Shea AKA Sly Flourish! We received a fantastically generous donation from Mike Shea, known on the internet as Sly Flourish, which will enable us to provide D&D Beyond for the participants in all five of our Dungeons and Dragons therapeutic social skills groups! Mike Shea, author of the well-respected Lazy Dungeon Master’s Guide, runs the blog Sly Flourish: Building the better Dungeons and Dragons Dungeon Master and is very active on his Twitter as @slyflourish, sharing tips and tricks for how to improve as a facilitator and game master. Adam Johns and I have been fans of his work for many years, so seeing his donation come in through our PayPal was a personal joy! This donation will enable us to provide each one of our nearly 40 participants access to D&D Beyond, which will enable them to keep track of their own character sheets, build their own characters using the latest releases from Dungeons and Dragons, and research the lore of the world on their own, giving them the resources they need to participate in the vast and rich culture of role-playing games. We are so grateful and looking forward to telling all of our participants the good news! Interested in learning more about our work? Check out the What We Do page to learn more about how and why we use role-playing games in our groups. Our First Panel Video from PAX East is Here!